Senators Cory Gardner (R-CO) and Michael Bennet (D-CO) today (December 6, 2018) announced that the North Front Range Transportation & Air Quality Council has been awarded a $20 million Better Utilizing Investments to Leverage Development (BUILD) grant from the Department of Transportation (DOT) for its North I-25 Segment 6 improvement project. The BUILD grant helps support the Northern Colorado Prospers Goal #1 of securing necessary funds to widen North I-25 between Fort Collins and Longmont. Additionally, the Senators announced that the Colorado Department of Transportation (CDOT) will be receiving a $20 million BUILD grant for its vehicle-to-everything (V2X) project, which seeks to bolster the connectivity of transportation infrastructure through the deployment of fiber across highways in Colorado, and the City of Glenwood Springs will be receiving a $7 million BUILD grant for its project to modernize infrastructure along the City’s South Midland Avenue, including a new waterline and broadband infrastructure. 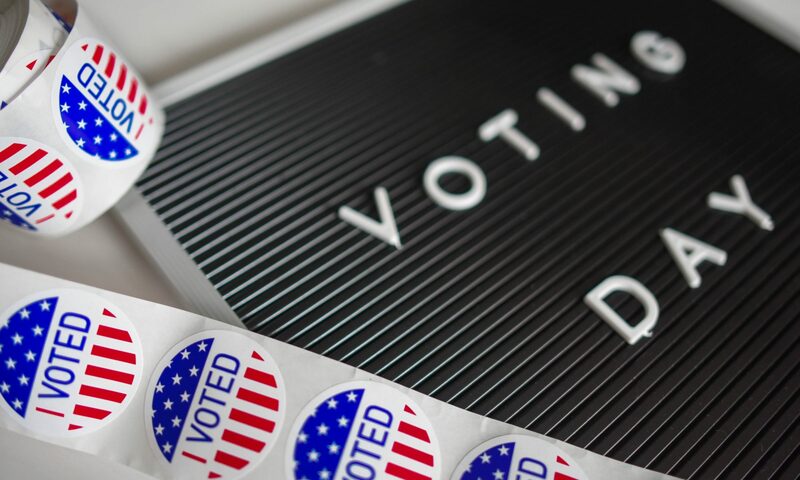 Colorado voters put a halt on any additional transportation funding, voting no on Colorado Proposition 109 (Fix Our Damn Road initiative) and Colorado Proposition 110 (Let’s Go, Colorado initiative) during the 2018 Election November 6. According to preliminary results, Proposition 109 lost 61% to 39% and Proposition 110 lost 60% percent to 40%. The Fort Collins Area Chamber of Commerce endorsed both transportation measures believing the two were viable measures that could address the traffic problem in the state and bring some funding up north to Interstate 25 (I-25). 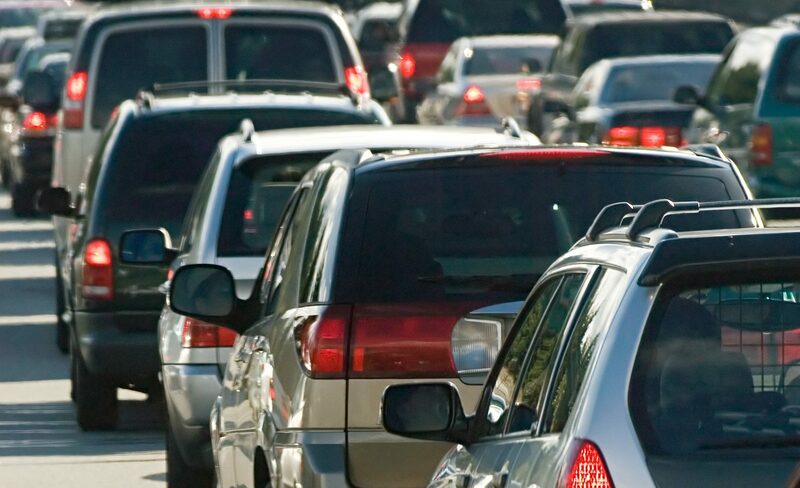 “These measures could have provided a funding source to help with the transportation problem. It is now back to the drawing board to convince our state and regional leaders to make transportation a top priority for the future,” said David May, Fort Collins Area Chamber of Commerce President and CEO. Proposition 109 would have utilized existing tax dollars and injected $3.5 billion into the state highway system by issuing bonds and would have secured them with $150 million annually from the general fund. Proposition 110 would have injected $20 billion into the state and local transportation system including state highways, local transportation projects and multi-modal transit projects over 20 years via a .62% dedicated sales tax. It would have also directed the issuance of bonds to jump start projects. Additionally, it would have committed $150 million annually from the state’s general fund. “The population continues to grow, the traffic problem in the state is only going to get worse and there aren’t a lot of funding resources to fix this. The problem now belongs to the new Governor and Legislature to solve, and we stand ready to help,” May said. 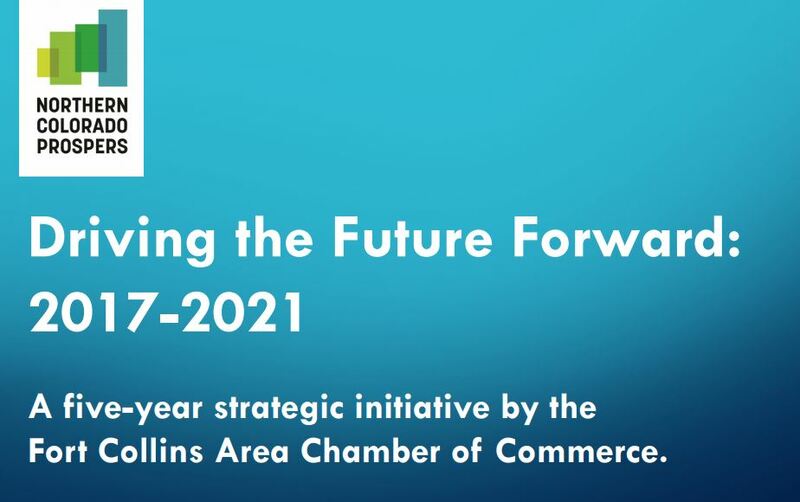 The Chamber also analyzed other issues on the November ballot and took positions based on what is critical to our current and future workforce, our quality of life and our economic future. 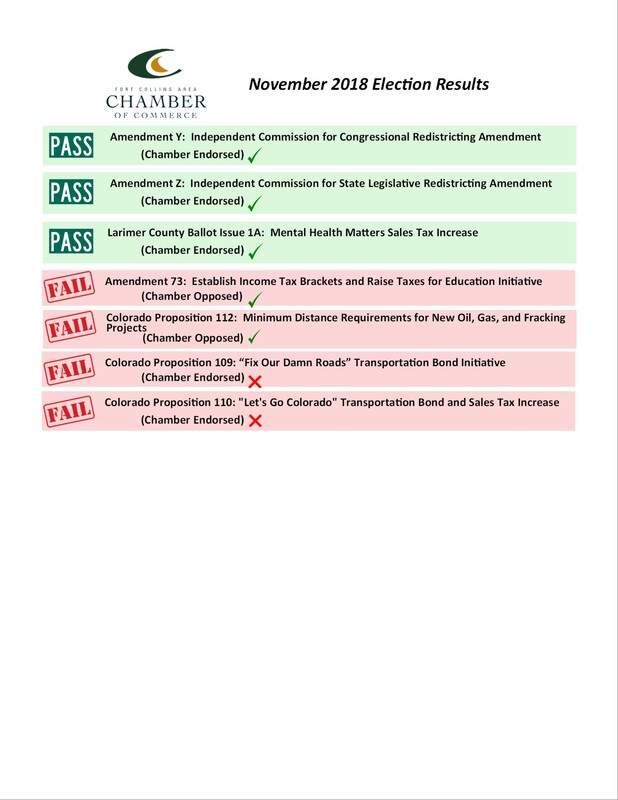 The Chamber was on the prevailing side of 5 of 7 issues, unfortunately losing on the two transportation measures. Below are results.